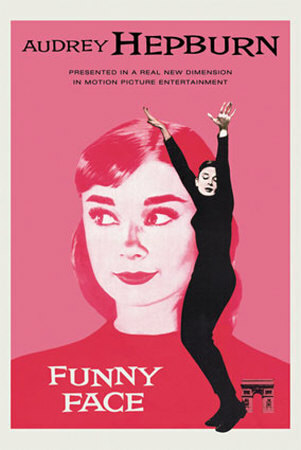 I know Audrey Hepburn is the star of the movie, but I am not happy with this cover for the new 50th Anniversary Edition DVD of Funny Face. 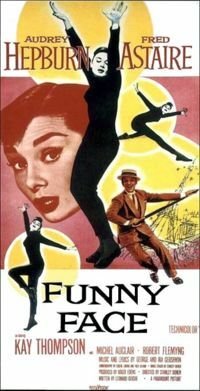 Audrey has not only a full body shot but a HUUUGE head shot, and there’s Fred Astaire, over in the corner, as if he’s just a minor plot point. Hell, he’s hardly recognizable. 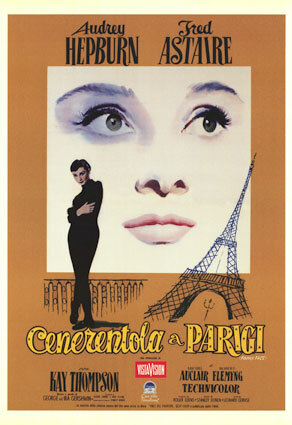 I just looked up the original poster art for this movie, from 1957. Fred didn’t fare any better in that artwork either. In fact, he did much worse. <– It’s not a particularly flattering picture, but Fred does appear in this poster. He does not for the other two I found. C’est la vie, I suppose. Audrey was ‘it’ in 1957. I still don’t get the appeal – she was a decent actress, but nothing all that special that I’ve seen. Maybe it was more about her personality than her acting prowess. I wasn’t around at the time and she’s one I’ve never taken time to research. I haven’t posted in a while. For the past month I haven’t been feeling very well. It’s something that happens every summer that my doctor hasn’t figured out yet. Unfortunately, it really tires me out. This year, it’s causing short-term memory problems too. Kind of forgot I had a blog, lol. Over Labor Day weekend we went to Acadia National Park. Take my advice. Don’t go on a holiday weekend. While it probably wasn’t as busy as it is during the peak of the summer months, it was way too busy for my tastes. Everything I wanted to see, so did everyone else. No place to park. We went to the part of the island that was less populated, but there were still too many for me. I hope we can go back later in the fall so I can enjoy it because it was very pretty. This is what happens when you’re impatient. 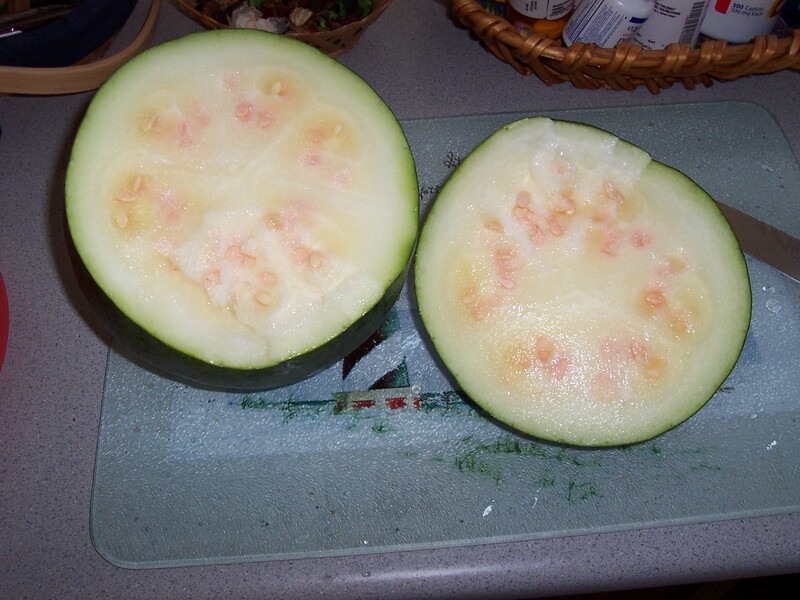 I read several ways to tell if a watermelon is ripe. One said that if there’s a yellow spot underneath, it may be ready. This one had a yellow spot so I cut it open. I’ve been waiting for this collection since studios (finally) started releasing classic films. 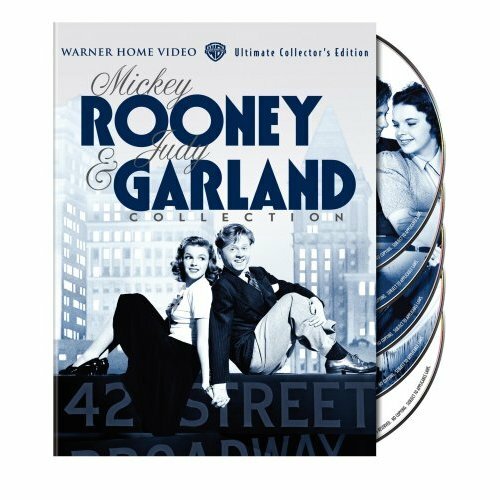 It has four of my favorite films – Babes in Arms, Babes on Broadway, Girl Crazy and Strike Up the Band. Of course, almost anything Mickey and Judy appear in is something I’m going to want. A few weeks ago a friend on a dog message board I visit pointed all of us to this site call lolcats. The site is a compilation of photos of cats (and a few dogs, birds, rabbits, otters and ferrets, but mostly cats) with captions. The ‘cats’ have their own language and several running gags and, I hate to admit it, they’re freakin’ hilarious. The blog breaks it down into categories so that you can skip to your own favorite running gag. This is a picture of some very pretty flowers that grow on the side of our garage. They bloom every July. The magenta colored ones are always first (far left in the picture) and then the pale pink ones. They were planted there years before we moved here so I have no idea what they are. I really like them and think they would look good on the north side of our house where we get a lot of sun but there is nothing there but a blah blank wall. So, all of you garden gurus, do you know what these are? Please leave a comment if you do, thanks! If you need a closer look, click on the picture. It will take you to the gallery where you can blow it up to a very big size.